Read My Novels | Reading. Writing. Spying. 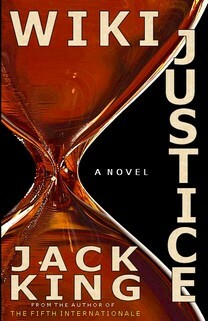 “WikiLeaks meets Jack London’s The Assassination Bureau, Ltd.”From the author of the internationally-acclaimed novel, The Fifth Internationale, comes this riveting new thriller.Thousands of classified documents are released by the whistleblower portal, exposing government and corporate lies and abuses, yet not one guilty culprit is held accountable.Damian Allende has had enough. He launches WikiJustice – an online networking site – where anyone can judge public figures who consider themselves above the law. From the author of WikiJustice comes this internationally-acclaimed and gripping thriller of the post Cold War world of espionage.Now that the Iron Curtain had come crushing down, and Soviet satellite countries switched allegiance to the United States, their communist spies are no longer needed. Hundreds of thousands are discharged, but not retired – they form The Fifth Internationale, building a global conspiracy that will allow them to manipulate world governments to their own end.Only one man can stop them.